Having a primary care physician for your family is an important part of keeping you and your family healthy. We understand selecting the right family doctor can be very challenging. Selecting the right family doctor is just a phone call or email away. Learn more about family medicine or call us at (619) 814-5500 or click here to request an appointment. We look forward to meeting you. At CHWB we take a proactive approach to aging, ensuring you have optimal health and wellbeing through the transitions that life hands all of us. Declining hormone levels are symptomatic of one such transition: Menopause. Our bodies, including both our physical and emotional wellbeing respond, quite dramatically sometimes, to the imbalance that occurs when our hormones decline. Bio-identical Hormone Replacement Therapy (BHRT) is a natural way to balance your hormones. The term “bio-identical” means the hormones are chemically identical in molecular structure as the hormones made by your body. CHWB only works with a highly specialized PCAB accredited compounding pharmacy that customizes medications personalized for each patient. You can rest assured that any medications you are prescribed are tailored specifically for you by a pharmacy that has met the most stringent of standards. Learn more about bio-identical hormone therapies or call us at (619) 814-5500 or click here to request an appointment. We look forward to meeting you. Naturopathic therapies and treatments are based on modern, traditional, scientific, and empirical methodology. Primary health care providers who practice naturopathic medicine emphasize prevention, treatment, and optimal health through the use of therapies and treatments that coincide with our inherent self-healing process. Learn more about naturopathic medicine or call us at (619) 814-5500 or click here to request an appointment. We look forward to meeting you. Intravenous nutritional therapy delivers vitamins, amino acids, minerals, and other nutrients directly into the bloodstream for immediate absorption and efficacy. Your body absorbs the vitamins and nutrients faster than when you take them orally and 100% of what’s in your veins goes straight to the cells and tissues that need it. A no nonsense way of getting things done! Learn more about IV nutritional therapy or call us at (619) 814-5500 or click here to request an appointment. We look forward to meeting you. NeuroRecover is a detoxification and addiction management program. It is an innovative, non-addictive, patient-specific program based on years of applied science and treatment. The NeuroRecover program utilizes proprietary Amino Acid based intravenous preparations for detoxification, coupled with unique oral nutraceutical supplements to assist in managing symptoms both during detoxification and as an ongoing strategy to reduce cravings. The NeuroRecover program’s patient-specific IV preparations and unique oral nutraceutical supplements are designed to rapidly assist the body in restoring neuroreceptor function to an optimal level. Once the body’s neuroreceptor functions have been healed, the patient’s cravings for these substances is lessened allowing the clinician to remediate any other underlying conditions that lead to the original substance abuse. Learn more about NeuroRecover therapies or call us at (619) 814-5500 or click here to request an appointment. We look forward to meeting you. The word holistic stems from the Greek word holism and translates to “all, whole, entire’ – As such, the term ‘holistic medicine’ embraces a larger definition of treatment, one that does not always work within the confines of conventional medicine. Our holistic and homeopathic providers combine modern Western medical treatments with alternative medicine or complementary treatments, such as chiropractic, acupuncture or massage, and is prepared in accordance with FDA standards. Learn more about holistic/ homeopathic medicine or call us at (619) 814-5500 or click here to request an appointment. We look forward to meeting you. Your nervous system is made up of over seventy-five miles of nerves and the nerve impulses can be as fast as three hundred and fifty miles per hour. This fact is a testament to why the proper alignment of your spine is so paramount; it impacts literally everything you do. It also affects your entire central nervous system – the spine houses the spinal cord and nerves extend from the brain all throughout your body. 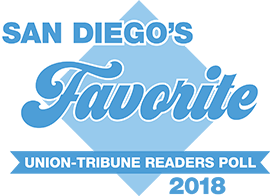 At CHWB we are fortunate to have a Chiropractic department that was awarded a Patient’s Choice Award in 2016 and recognized as one of San Diego’s top Chiropractic practices. We know it’s all because of Dr. Blosiu, aka, Dr. Corey. He employs treatments that range from traditional to space age! His patients are devoted and for good reason. If you’re seeking noninvasive techniques to accelerate healing or simply keep your body running at its peak, come see what all the buzz is about. Buzzworthy note: we accept most major insurance plans. Learn more about chiropractic treatment or call us at (619) 814-5500 or click here to request an appointment. We look forward to meeting you. It comes as no surprise that our diets affect our health – though It’s not just the “eat your vegetables” and “obey the food groups” mentality that we collectively shared in the past. Today there is an abundance of research that what we eat, or don’t eat, has far reaching effects on our physical, mental, and social health. Much like the mind, body, spirit foundation of holistic medicine, our wellbeing is connected to our diet. A question or a statement: “We are what we eat” Learn more about weight management/ diet nutrition or call us at(619) 814-5500 or click here to request an appointment. We look forward to meeting you. The understanding that our stories, beliefs, relationships, and culture influence our behavior, biology and health is the foundation on which Dr. Jan Ewing has developed her therapy practice. Dr. Ewing has been working in collaboration CHWB for more than a decade and shares our integrative approach to healthcare. With more than two decades of individual, relational, family, and community therapy, Dr. Ewing holds a PhD in Marriage, Family, and Child Therapy. She is currently a professor at San Diego State University and has been the director of two university training clinics connected to medical settings focusing on integrative health. Dr. Ewing’s office and waiting room for Narrative Health Initiatives are located on the first floor of CHWB. Learn more about transformation counseling or call us at (619) 814-5500 or click here to request an appointment. We look forward to meeting you. Our masseuse has extensive training in therapeutic techniques, and can help you to feel revitalized by restoring balance and harmony to your body and mind. Learn more about massage therapy or call us at (619) 384-5910 or click here to request an appointment. We look forward to meeting you. A healing environment – Every element of health and well-being is offered at CHWB, it is the reason we open our doors each morning. A Partner in your optimal health – Our team works together for you and with you toward your optimal health. The quality of care you deserve – Understanding YOU…the relationship between physical and nonphysical factors affecting your health, treating all of you, it’s what you can expect from us. or send us a message. Please make sure to download (patient forms) and print the patient forms before your appointment and to bring a copy of your medical insurance.